BEVERLY, Massachusetts (May 31, 2018) – Leading European convenience store operator and fuel provider EG Group is using the proprietary NexxHub™ Scan Based Trading platform. The Nexxus Group® solution is being used across EG Group’s recent acquisitions in the United States. EG Group, based in Blackburn, Lancashire UK, is Nexxus Group’s latest European client. The company acted quickly when Kroger shopped its convenience store division earlier this year. The companies entered into a definitive agreement on Feb. 5 and completed the $2.15 billion transaction in late April. EG Group operates 762 stores under the Turkey Hill, Loaf ‘N Jug, Kwik Shop, Tom Thumb and Quick Stop brands. The network covers 18 states and employs more than 11,000 associates with North American headquarters in Cincinnati, OH. EG Group founder and co-CEO Mohsin Issa explained the purchase of the Kroger assets in a post on the company web site. 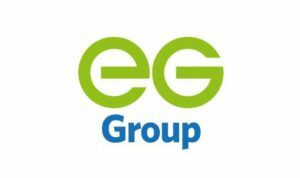 “This announcement represents another momentous chapter in the enterprise journey for EG Group. We now look forward to working with our exceptional US management team and begin to invest in the network in the coming months. Given the spatial spread across the USA, nurturing the right strategic brand partnerships for the respective market regions is going to be an important strategy focus in North America,” Issa said. EG Group is regarded as one of Europe’s premier c-store operators and fuel providers. Issa and his brother Zuber Issa were jointly named the 2016 NACS Insight European Convenience Industry Leader of the Year. EG Group employs over 26,000 staff working at more than 4,600 sites in seven countries. EG Group is committed to delivering a true ‘one-stop’ retail destination to satisfy multiple consumer missions. The business is regularly recognized for innovation and investment in convenience retail assets. For more information, visit: http://www.eurogarages.com. Established in 2003, Nexxus Group is the industry’s leading full-service Scan Based Trading (SBT) provider. Our NexxHub™ platform provides state-of-the-art features and analysis to manage your SBT business. We service a network of 71,000 locations for nearly 100 retailers and more than 6,500 distributors and manufacturers. Our innovative, cost effective solutions are used by the Number One market leaders in grocery, mass merchant, drug, convenience, discount, airport and coffee as well as national CPG suppliers. We support retailers, distributors and manufacturing partners in categories such as bakery, dairy, propane, flowers, snacks, novelties, magazines, books and newspapers.